Jacek Wańkowski is based in Sydney and the Hawkesbury River valley in NSW, Australia. He originally trained and worked internationally as a marine biologist, is a keen SCUBA diver and international traveller and draws upon these experiences to inform his practice. 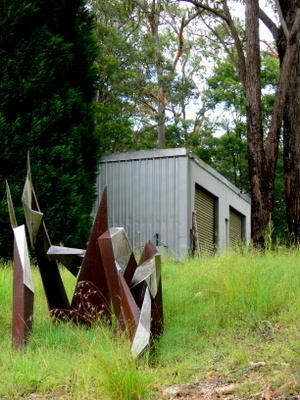 Since graduating in 2006 with a BfA (Hons) from the National Art School in Sydney, he has exhibited his large-scale outdoor sculptures and smaller, intimate indoor pieces internationally in 87 group and 5 solo exhibitions in London and Sydney, throughout the UK and in NSW, Queensland and Victoria. 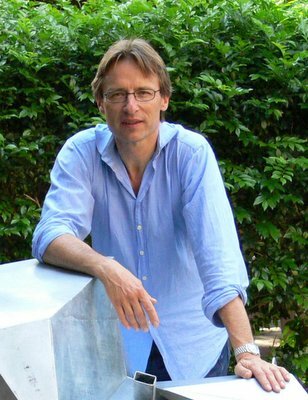 His work is in private collections in Australia, the UK and Europe. Jacek is a Member of the Royal British Society of Sculptors (MRBS) and a member of The Sculptors Society NSW. Jacek's practice seeks to encode sculpture with a spiritual meaning. To create metaphors for the eternal cycle of life, growth and death; for all that informs our life and existence. "Sculpture is like architecture. I am inspired by exploring boundaries and by the spaces between things. My shapes decide their own identity, they become what they want to be, they are a way to say something fresh and immediate. My sculptures are predominantly made in steel and range from large-scale outdoor pieces to smaller, intimate works - a play between the small and the large scale, between intricacy and simplicity. Inspired by observation of pattern and form in the natural world and spatially activated by the distribution of their mass, they embody movement and anticipation, and often a sense of unfolding or unwrapping. Many of my sculptures are intended to be installed in a natural or soft non-industrial environment - on grass or old flagstones, amongst trees or with a background of weathered brickwork; where surface patinas will gradually develop with age. Each work is designed and intended to interact with, and age uniquely within, its environment." Jacek trained at the University College of North Wales, Bangor, graduating with a First in Zoology with Marine Zoology. He then worked in New Zealand at the University of Auckland's Leigh Marine Laboratory and subsequently obtained his PhD in Fish Biology at the University of Stirling, Scotland. Jacek has worked in marine and fisheries research at the University of Stirling and the Freshwater Fisheries Laboratories in Pitlochry, Scotland; for the Department of Fisheries and Primary Industry in Papua New Guinea; and the Marine Science Laboratories, Queenscliff, Victoria, Australia. His field has included studies in behavioural ecology, feeding behaviour, migration, population studies, fishery dynamics, growth and reproduction. Primarily interested in fish, he has studied a range of species from small tropical baitfish, through shallow-water bottom-dwellers, open-water pelagics and deep-water species. His research has also included intertidal shore crabs and penguins. As well, Jacek has travelled widely in a professional capacity and has explored and studied coral reefs in East Africa, Papua New Guinea, Bougainville and the Australian Great Barrier Reef. His research has been published in international journals, reports and monographs. Jacek is now a full-time sculptor and no longer works professionally in the scientific field.